All the Christmas things have started! 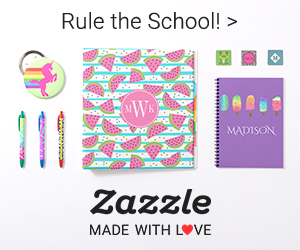 If you’re not getting a bazillion Christmas catalogs a week, tell me your secret! 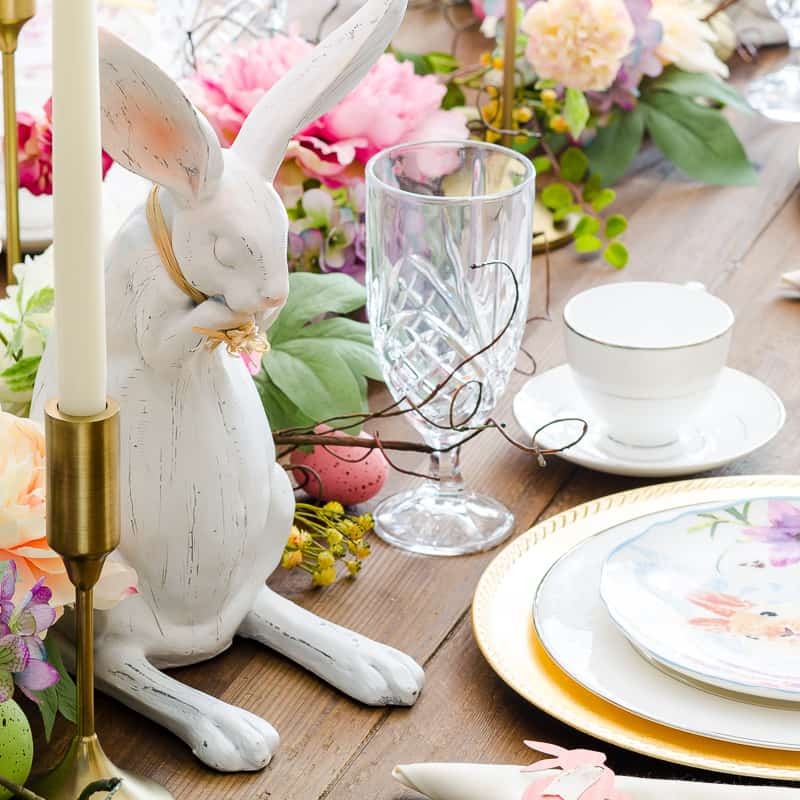 While I thoroughly enjoy seeing the sparkly goodies sold by Pottery Barn, Balsam Hill and Frontgate, I don’t always love the price tag. That’s why this year, I learned how to make a homemade Christmas wreath from scratch. Today, I’m sharing this homemade scratch Christmas wreath as part of the Handmade Christmas Decor Blog Hop. I hope you’ll visit each of my blogging friends at the end of this post. Big thank you to Rita at Harbour Breeze Home who organized our lovely tour. My inspiration for this homemade Christmas wreath knock-off came from Pottery Barn, Balsam Hill and Frontgate. To manage costs, I decided to simplify the Frontgate wreath by removing the ribbon but keeping the metallic silver and gold elements that would complement my charcoal-grey dining room. I bought all of my supplies at Hobby Lobby at the end of last season (score! ), but in many of the photos below, I used this year’s ornament selection. Now, the fun begins! 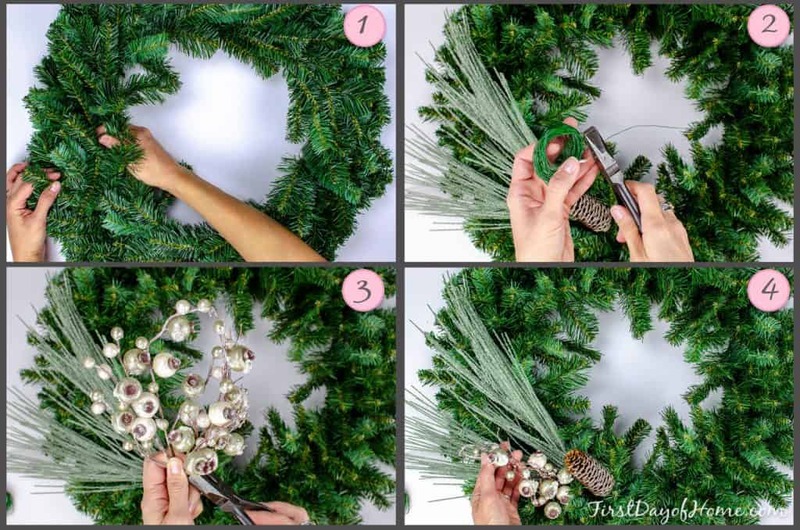 Follow the steps below to prepare your wreath for action. 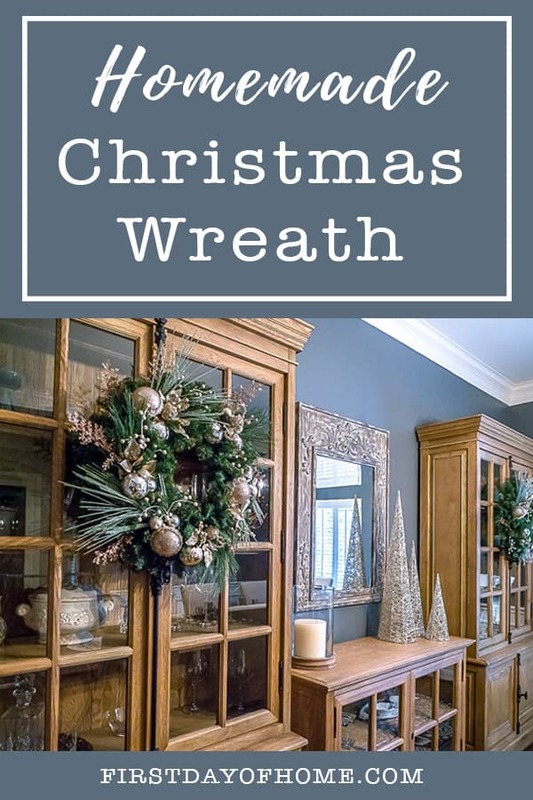 I always arrange my largest pieces first and secure them to the wreath before adding the smaller accents. Begin by opening up your wreath in every direction (inward, outward, forward). Then, attach fishing wire to the frame to hang your wreath later. Add any base greenery/texture elements first. 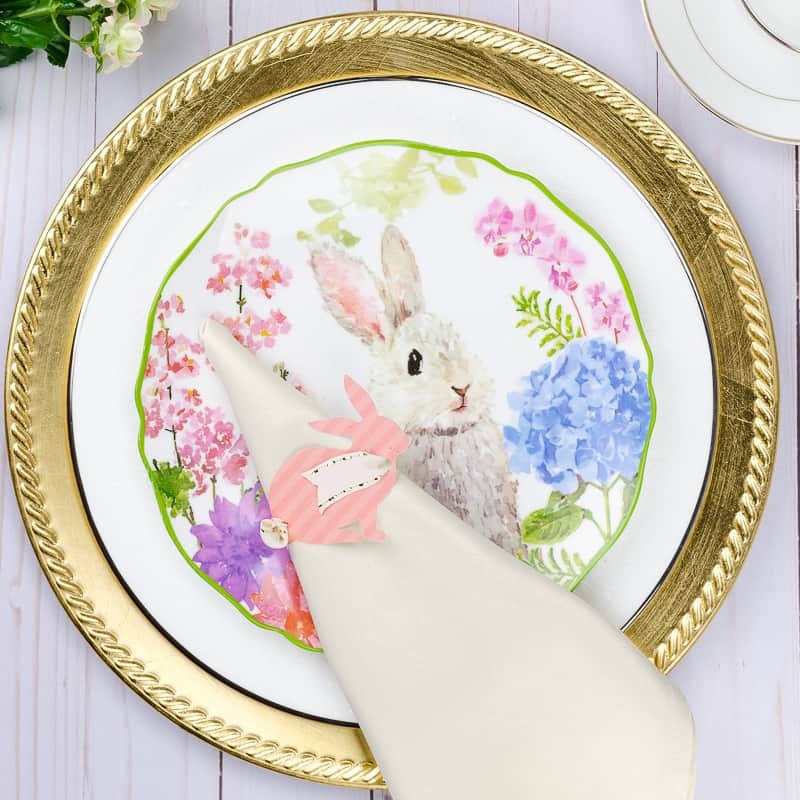 Secure these pieces to the wreath frame with floral wire. Separate any large accent berries/stems by pulling them apart or using wire cutters. Now you have double the accents! Pair small accents with larger greenery stems. 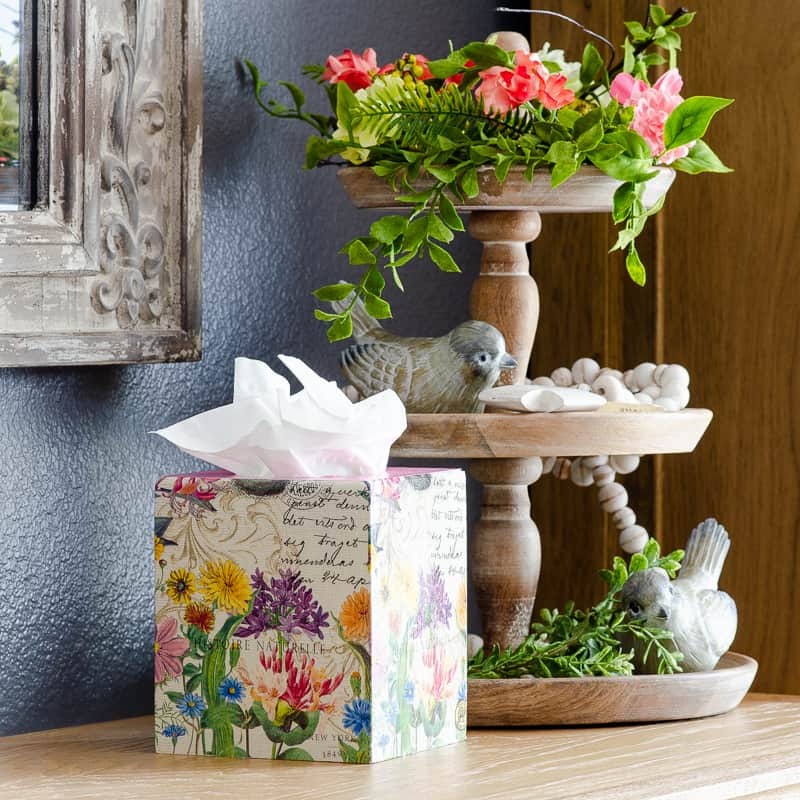 Attach accents with floral wire once you have secured all of the main greenery pieces. Next, you’ll begin arranging your other wispy accents, small berries, leaves and ornaments according to the decorating tips below. Note: You might end up with glitter here, glitter there, glitter everywhere. Don’t worry, you were born to sparkle! The nitty-gritty of wreath-making comes down to personal preference. 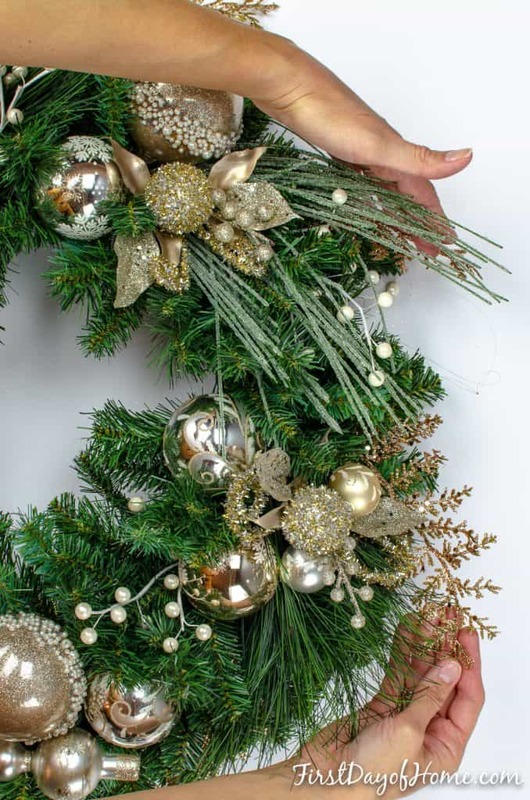 However, I’ve collected a few tips that have helped me on my wreath-making journey. You’ll notice I have a spiral movement on my homemade Christmas wreath, and all of my accents curve downward in a clockwise direction. I also suggest inserting a few accent stems on the sides of your wreath, not just on top, because it will appear fuller and have more depth. I’m a girl who likes the combo platter, so naturally, I chose a variety of ornament sizes for my wreath. For the mini ornaments, I created “twins” and paired them with larger ornaments. I also added a few champagne colored finial ornaments and clustered them with leaves and berries. 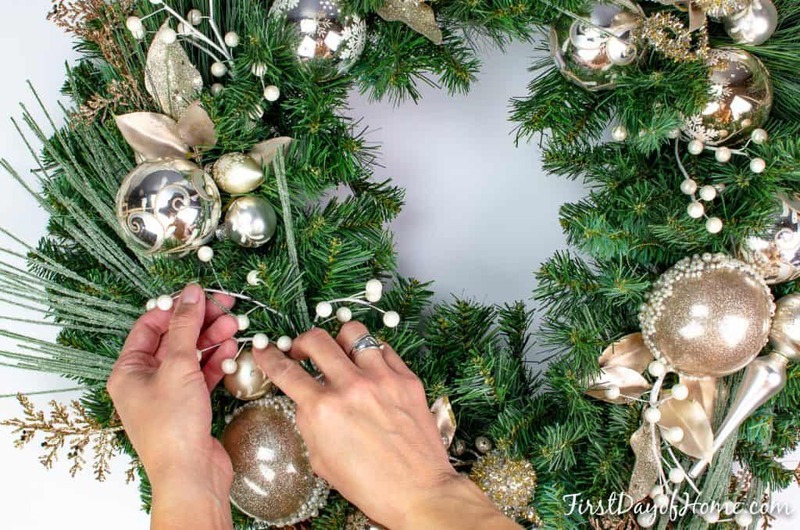 When creating your homemade Christmas wreath from scratch, you can either space the ornaments evenly throughout the circle or create clusters. 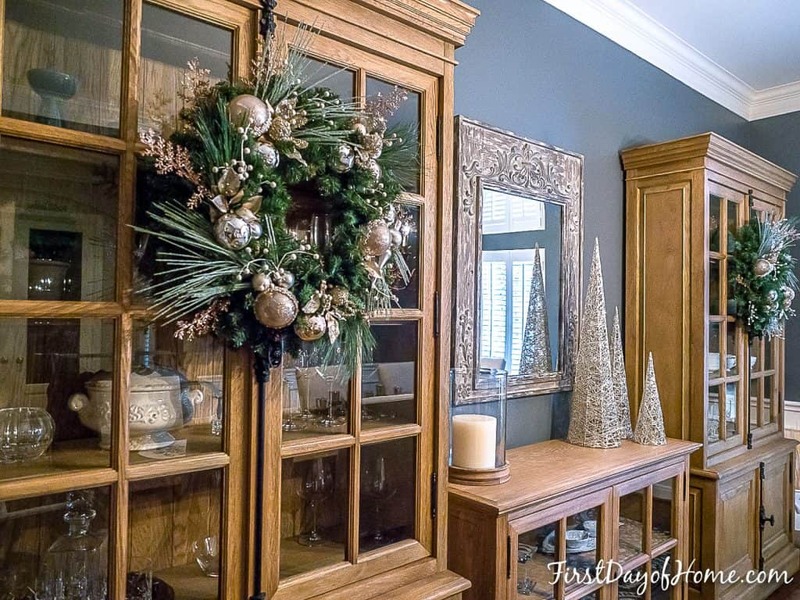 Personally, I arrange in groups of three: three accent greenery pieces, three ornaments of each type and triangular clusters. In the end, finding a balance that pleases your eye is most important. 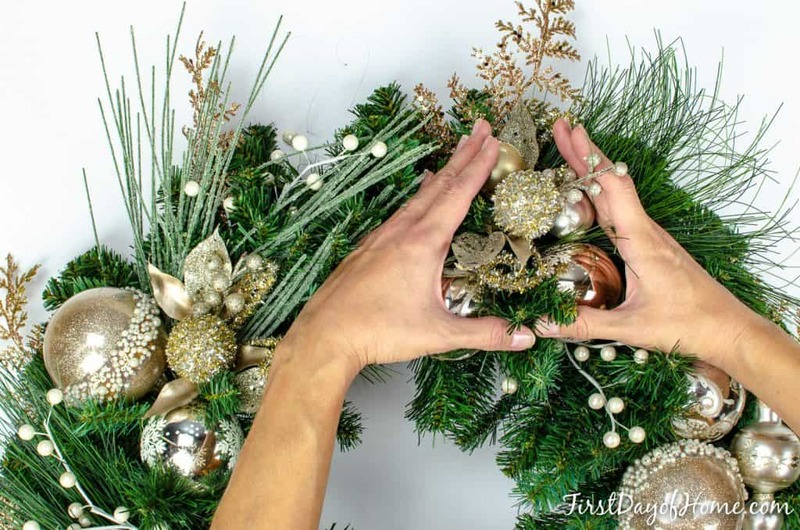 Pretend you’re a paparazza and check out your homemade wreath from all angles. 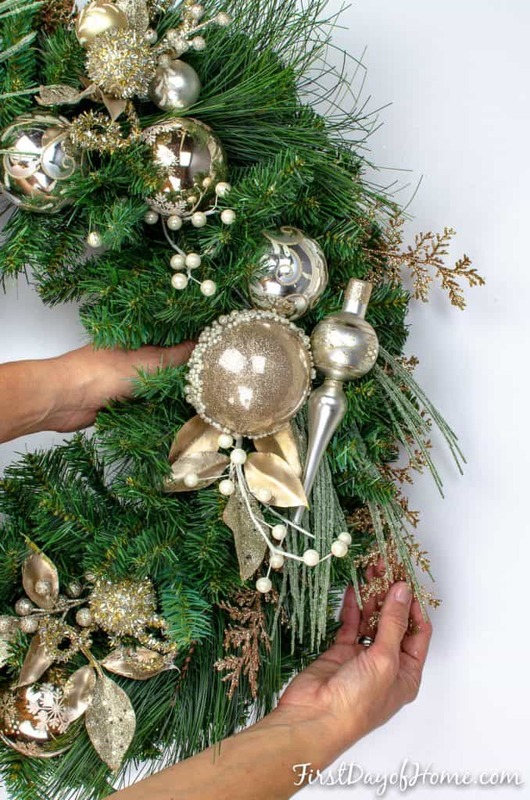 Do you see any unflattering angles that would make your wreath worthy of the tabloids? I always end up rearranging a bit after I leave my wreath hanging a while. Totally normal! Every year, I look at my creations and think of ways to improve or add embellishments. Gotta start somewhere! For a fraction of the price of a store-bought wreath, I created a homemade Christmas wreath from scratch that my family and I can enjoy for years. I hope with these easy tips, you can do the same! Be sure to check out my related post: Easy DIY Holiday Centerpiece with Mercury Glass. 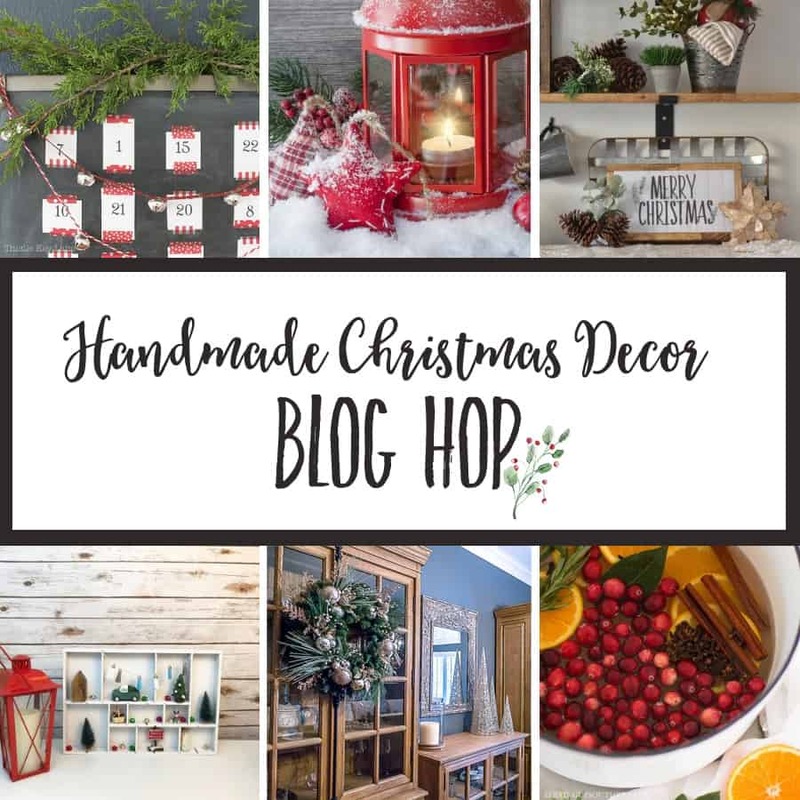 Don’t forget to see what my blogging besties have created as part of our Handmade Christmas Decor Blog Hop! These ladies just ooze creativity and talent! Such a pretty wreath will share on my facebook and saw this from Christmas Cuties, what a great group. Hi Maria. Thanks so much! I’m glad you liked it, and I appreciate you sharing the post! Crissy, your wreath is gorgeous! I’ve not made a wreath in years but am going to try to craft one after the holidays. I need a winter wreath and finding one is difficult so I’ve decided to make one. I like your tutorial and hopefully will be able to use your instructions and come up with something decent…it won’t be beautiful, but maybe it will be passable. 🙂 Have a great one! Crissy, you are amazing!!! I love, love, love your wreath! So gorgeously elegant!! Love the wreath! thanks for the tips on designing my own, we also buy a lot of our decorations from the stores you suggest. You’re so kind, Susan. Thank you for visiting, and happy decorating! Thank you, Christene. Most of the time, I have to dig for goodies post season because they run out! So gorgeous! I love metallics and golds! This is my kinda wreath! Thanks, Carrie! I’m fond of the metallics, too. Of course, I love reds and greens also. Oh, I just love Christmas everything! Crissy this is absolutely stunning! It looks amazing there hung on the curio as well! What a beautiful Christmas project! Oh, you guys have such great access to craft stores, I am always so jealous of the trips to Hobby Lobby, or even Target! Great project, such a pretty wreath. So loving the gold this Christmas and it pairs so beautifully with the pine green. Great project Chrissy! Thanks, Laura, and sorry to tempt you! I tried to include some similar items that you can buy online to replicate the look. It can be overwhelming with so many options out there, though! Your wreath turned out beautiful, Crissy! 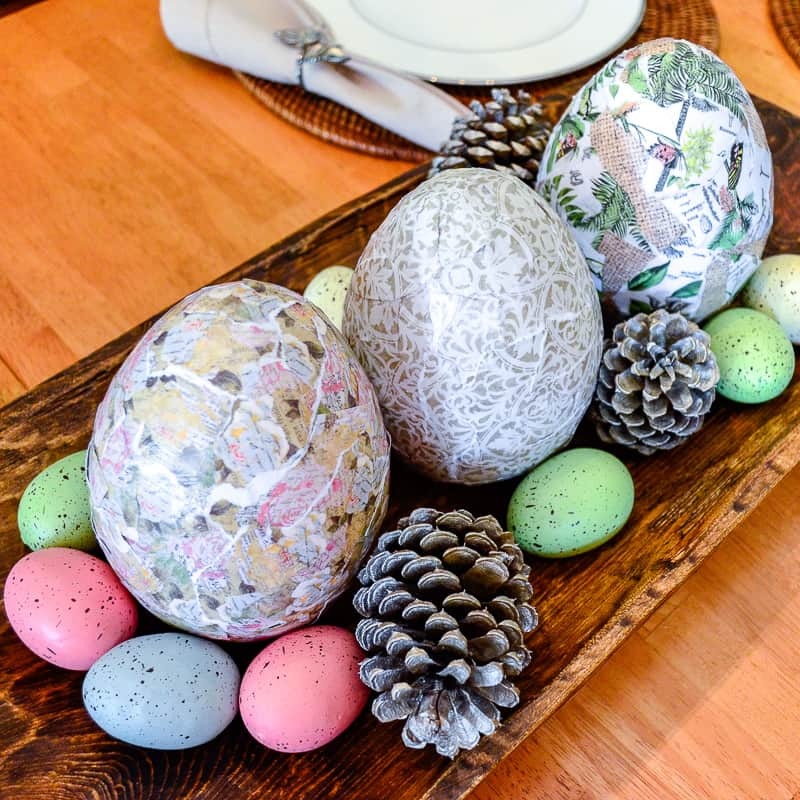 I love the different texture that the pine needles offer, and the added embellishments finish it off perfectly. It’s been fun to be on the blog hop with you and the other ladies. Thanks, Kim! I love experimenting with different designs. It certainly has been fun to participate with you and everyone else! Looking forward to the next time! Your wreath is beautiful! That’s great you got your supplies on discount. 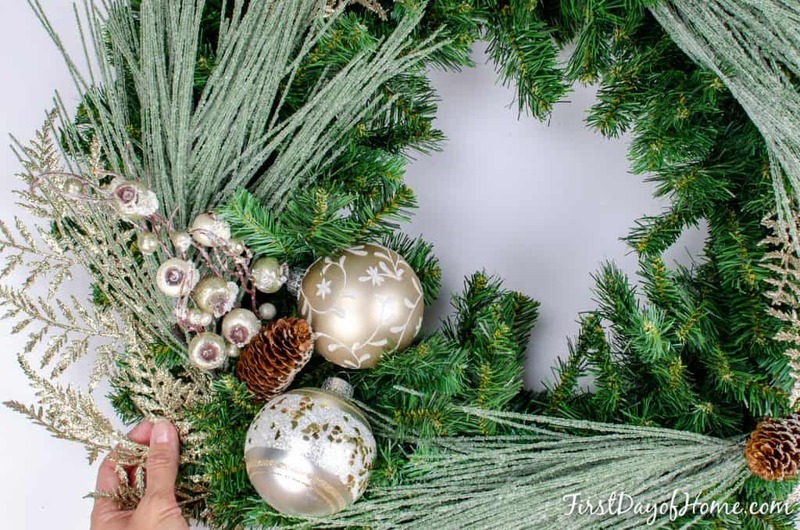 I’ve never actually made a traditional evergreen wreath – the supplies can be pricey! Thanks, Lauren! Hobby Lobby has the same size wreath on sale right now if you’re interested. I think it’s only $5 or so on discount. You can probably order online if you don’t live near a store. Wow… just gorgeous, Crissy! And your tutorial is super helpful! 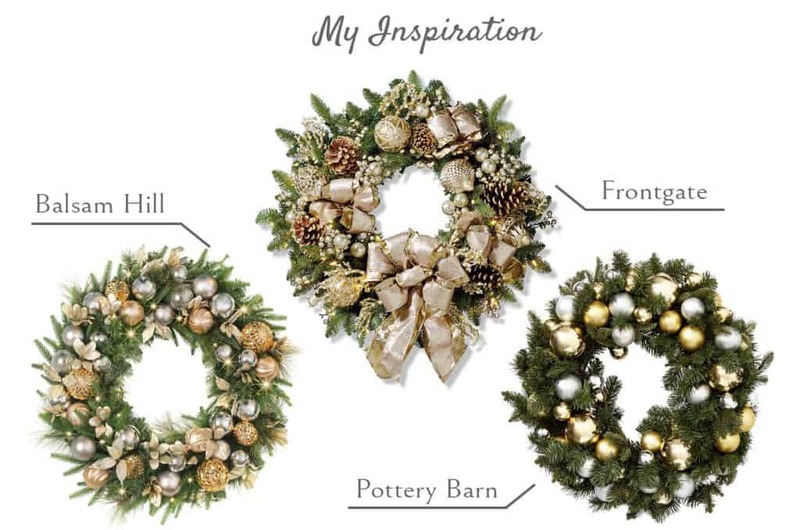 Beautiful knock-off wreaths! Crissy, your wreaths are gorgeous. Knock off or not I like yours better. The colors and textures are classic and timeless. Perfect all the way around! 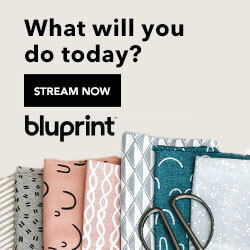 So happy to be on the blog hop with you! Just gorgeous! I just may need to overhaul my Christmas decor after seeing this. The color palette would be perfect for my house. This is exactly my dilemma. I can’t decide between my traditional red/green decor and something that suits the house! I want it all! P.S. You get major bonus points for using correct gender and number agreement with “paparazza.” You never cease to impress!